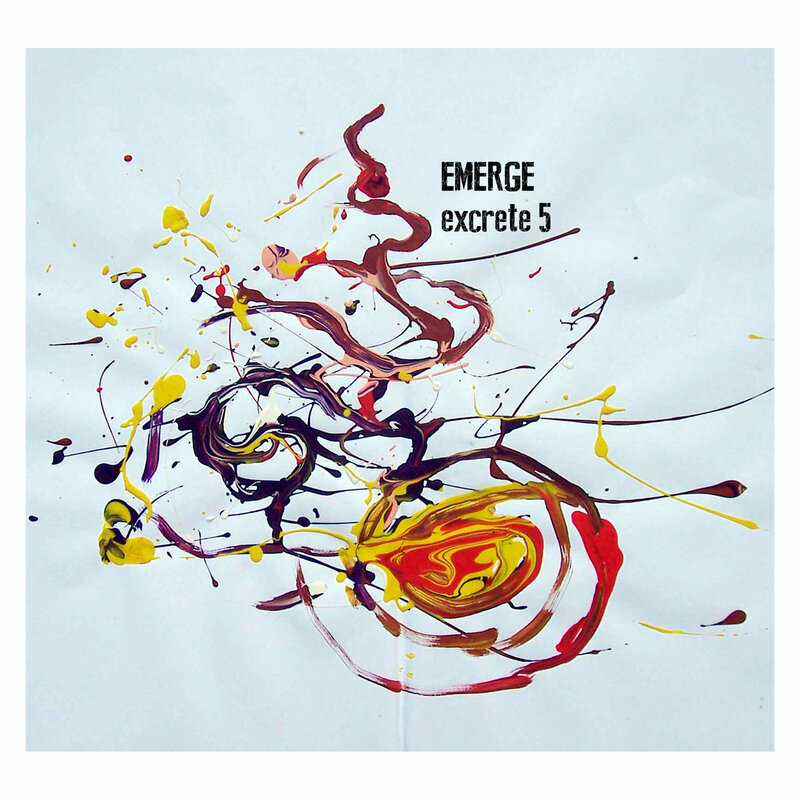 “Excrete 5” is the fifth and final piece in a series of five long-form pieces by EMERGE, each released as a cassette in its own right. Each about 55 minutes long, the subdued, minimalist approach of the pieces and their extremely long duration when listened to in their entirety, feels like an attempt to translate the specific temporal and experiential quality of Morton Feldman’s music, or of some sound installations, into the idiom of electroacoustic music. “Excrete 5” is different from the preceding parts of the series in that in is not all texture, but contains hints of other isolated sonic events in the far, foggy distance. Sometimes they seem to resemble familiar noises, yet the familiarity quickly fades. These are the first hints that the pieces of the “excrete” series may be based on field recordings or found sounds of some sort, but referentiality and meaning are constantly deferred in this music that makes its listeners conscious of the passing of time, forcing them to experience it with the utmost clarity – nothing more, nothing less.